We offer a full curtain hanging service, including all variations of made to measure curtains, pelmet boards, valances, and swags and tails. 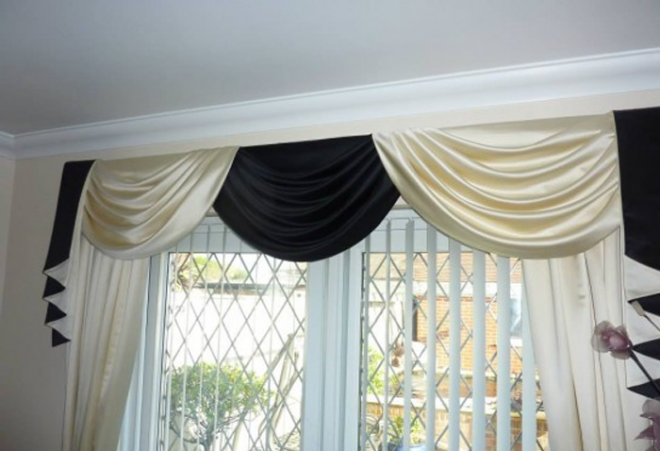 The service includes taking down existing curtains, removal of any un-neccessary gliders/rings, and dressing in of the curtains so they hang beautifully. We charge an hourly rate of £35.00 or a daily rate of £150.00 for all our hanging services. Please be aware we only hang products we have custom made, we no longer offer the service of hanging ready mades, or nets.